UPDATED: Apparently I forgot the link. 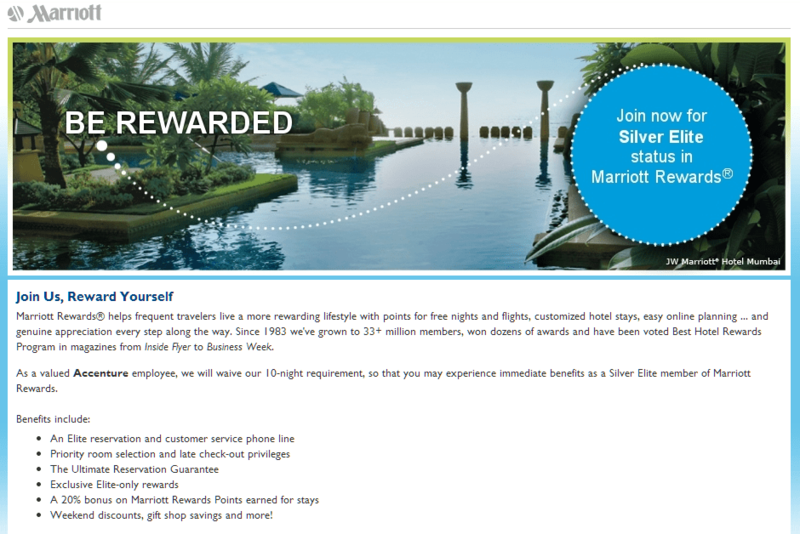 Sign up here for free Silver Status! The website link to sign up is here. It’s instant on signup and will get you a few marginal benefits on stays, but if you’re statusless it’s always better than nothing (or base level). Accounts take up to 48 hours to activate (mine did anyways) so I signed up two days ago and only got the email this morning confirming my status. Free status is always good! 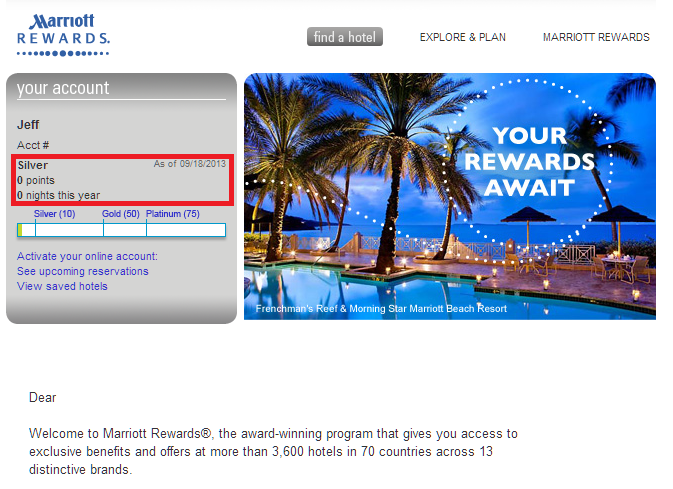 In this case, you won’t be able to get the referral bonus, 10,000 marriott reward points for referral and referee, after 5 stays. Am I right? hey Jeff can you give me the link please? Updated the post! That was dumb! Does it work with existing member? No, you have to sign up with a new email. Thanks, it will be our secret! shhh! Just tried this. Seems to only work with @accenture.com email addresses when signing up.